Home » fountain-pen » Fountain-Pens » Lamy » Lamy-Ballpoint » Lamy-Pen » lamy-pens » lamy-safari » Lamy Fountain Pen Price Changes. Looks like Lamy is going to raise their prices for the fountain pens by $2.50. 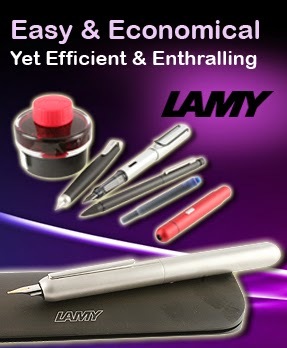 They have already increased the price of the lamy ballpoint, rollerball and pencils. It is a tough walk in this economy. We do sell a lot of Lamy pens since it is one of the best bargain for the money and one of the best starter pens you can find around.